It thrills me to my core that conscious consumerism is becoming a greater part of our shopping options & even more so impressed by the dedication to supporting global artisans & fair trade practices that many businesses in Nashville have made (see all of my blog posts highlighting businesses that promote conscious consumerism). 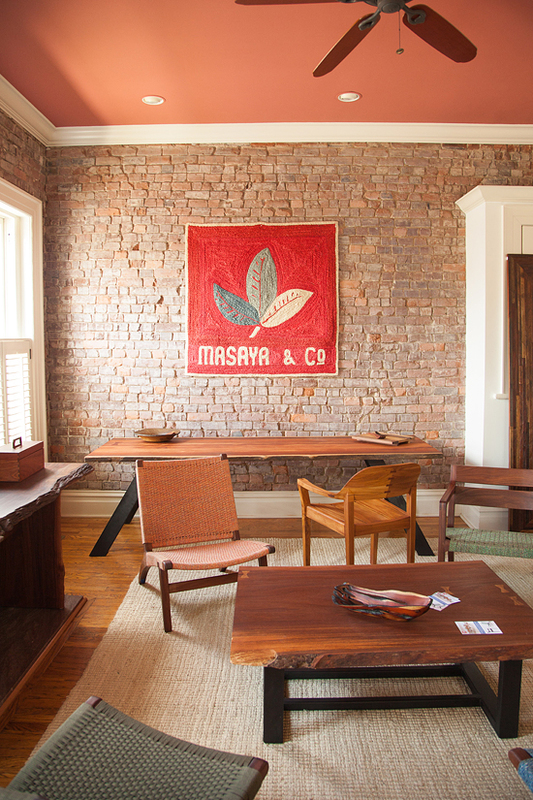 When founder Aram of Nicaraguan fair trade furniture, Masaya & Co, reached out to me about their new Nashville showroom, I headed over in my car to visit! 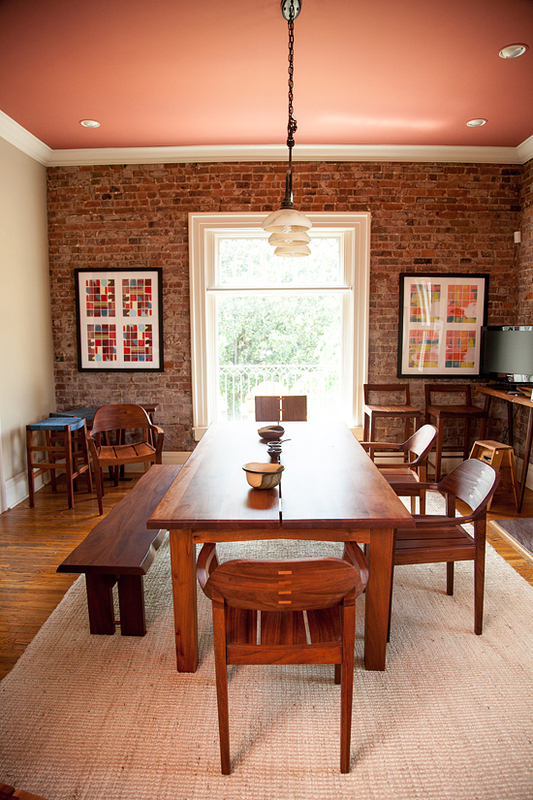 The gorgeous showroom is housed in a lovely home along Music Row, here in Nashville. 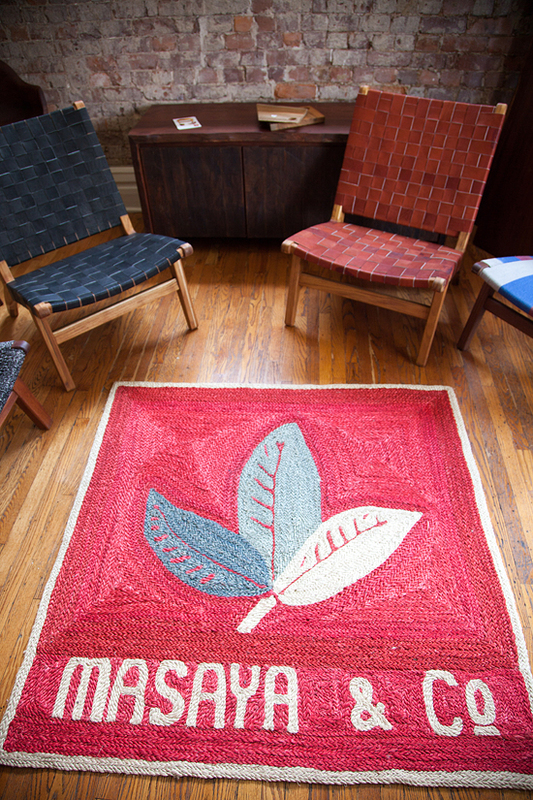 All of their amazing pieces are made by Nicaraguan artisans, using sustainable Nicaraguan trees. In fact, they plant 100 new trees for every piece purchased, to improve their own community & global footprint. 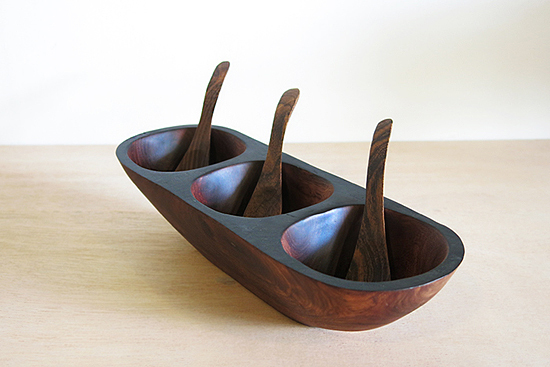 The Masaya & Co piece I most wanted to smuggle into my car? 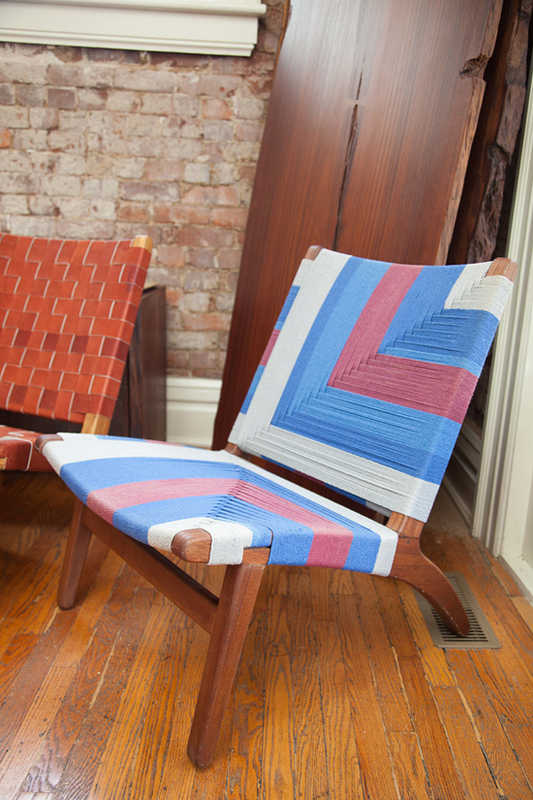 The unique hammock chairs - made by hand, using hand spun threads! Read on for my interview with founder Aram + an awesome giveaway! 1. 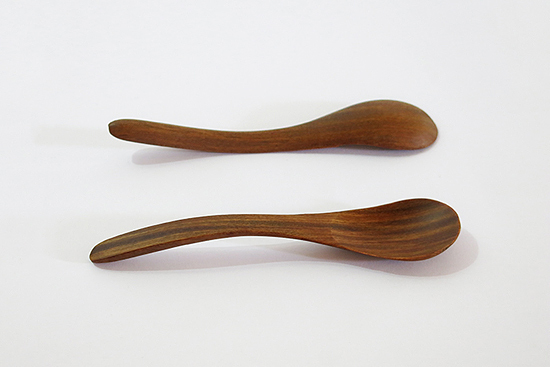 How did you get started in woodworking? 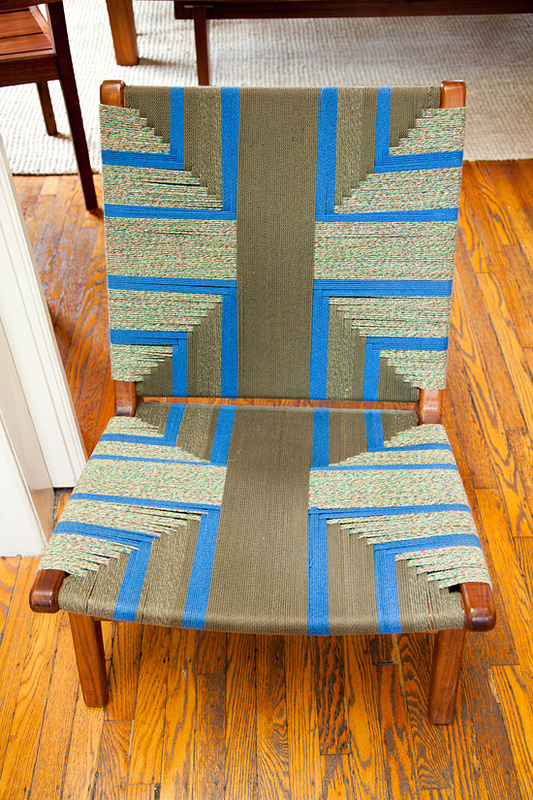 Do you use traditional Nicaraguan practices, or is your work inspired by the country in any way? I came to Nicaragua in 2002 as a Small Business Development Volunteer. We started our company to do reforestation on deforested cow pastures in 2007. This same year there was a hurricane in the atlantic coast of Nicaragua that knocked down 1,000,000 acres of forest. We started salvaging lumber and exporting. This grew over the years into production of finished products. I have always been intrigued by furniture making and they wood here is very beautiful. All our production is in Nicaragua so we use the local methods and everything is made by hand the old fashioned way. We like ornate joinery and contrasting wood details as the woods we have here are very colorful and have wonderful grain patterns. 2. 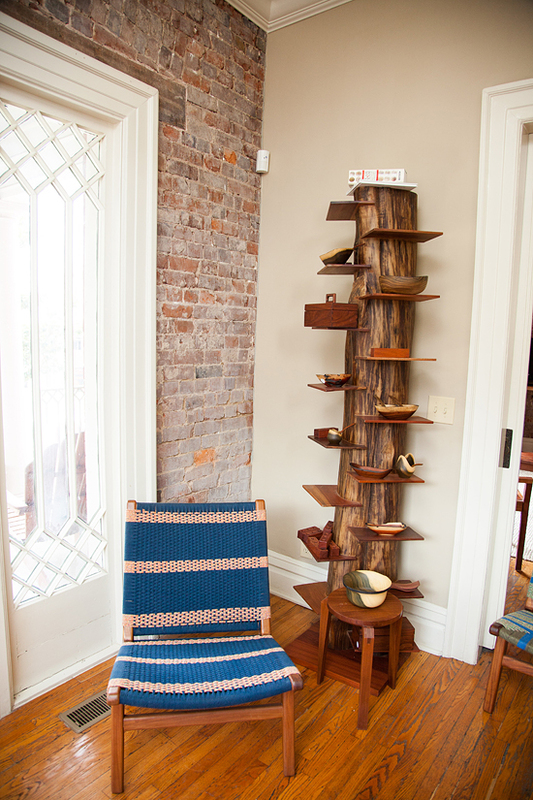 Why Nashville for your showroom? What is it about Music City that was attractive to you & your business? I grew up in Nashville and my family still lives there. My father is the major investor in the company and he still lives there and oversees the us sales side. Its also a booming market with a lot of construction and a good central location for internet sales. 3. The idea of "conscious consumerism" is definitely on trend these days, how has that effected the way you make and sell products? How do you stand out from the "trend”? We don’t just talk green and sustainable, we actually plant trees. We are planting 130,000 trees this year in Nicaragua and will plant 100 trees in 2016 for every item we sell in 2015. The original goal of the company was to create a business that makes money by planting trees. This is still the goal and as we grow our sales in US we want to reforest as much as possible in Nicaragua. I think tying our tree planting directly to our sales will give the consumer a clear picture of the impact they can have. 4. 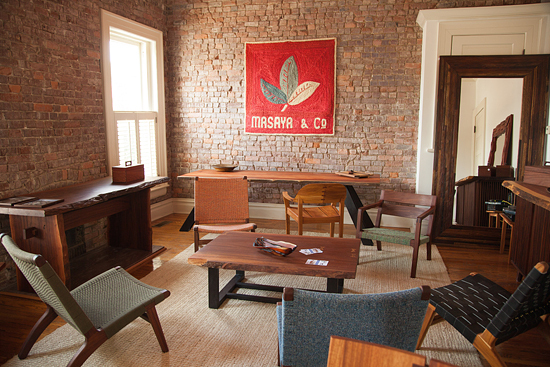 What is the future of Masaya? What can we look forward to seeing from you next? We would like to expand sales nationally and increase our planting activities as much as possible. All of this will depend on our sales but responses have been good so far. Our Nashville showroom is a pilot retail outlet that we would like to develop and recreate in other cities once its up and running. We also intend to sell through other retailers and online. 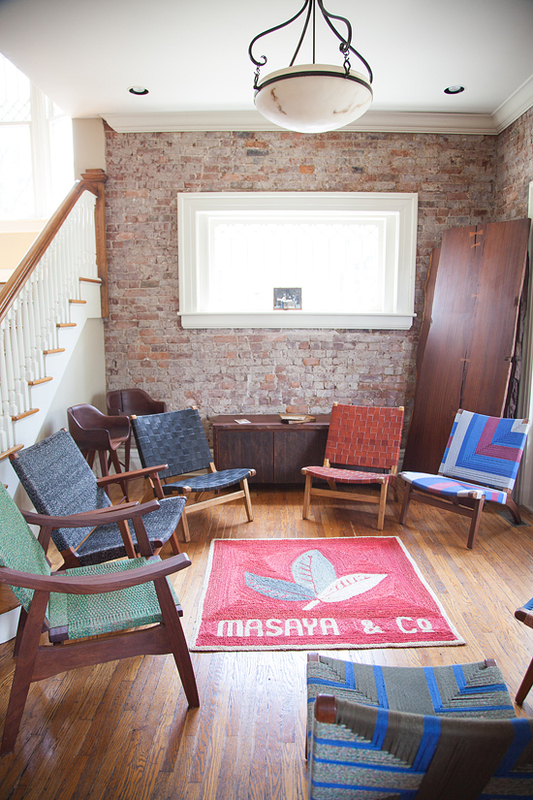 Read more about the Masaya & Co history + mission on their website. If you are in Nashville, you have to put visiting their gorgeous showroom on your to do list (see how you can get 10% off your in store purchase)! But don't stress, even if you are not a local, Masaya ships anywhere in the US! But wait there's more! 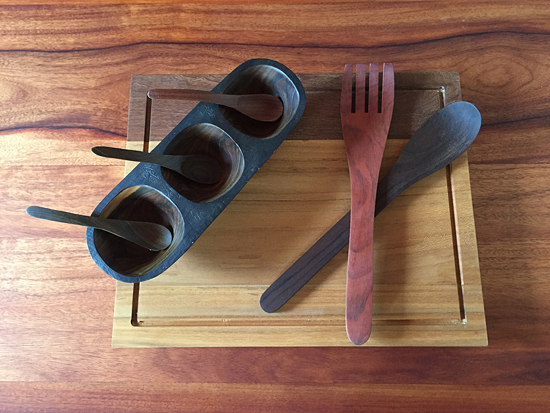 Masaya & Co is giving away the hand crafted cutting board, salad fork + spoon, & a sauce bowl pictured above. Use the Rafflecopter widget below to enter, a random winner will be selected next Saturday.